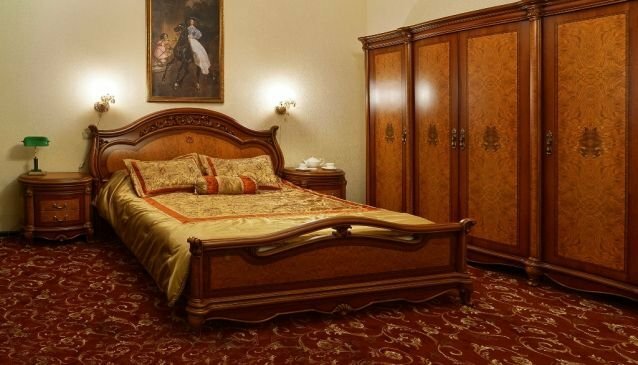 Hotel Kamergersky is located in a pretty side street in Moscow's historic centre, a 5-minute walk from Teatralnaya Metro Station and the Bolshoi Theatre. Soundproofed rooms with free Wi-Fi and elegant furniture are offered. The location of Kamergersky Hotel is in the heart of Moscow , just a few steps from the Red Square and Bolshoi Theatre. The Kamergersky pereulok (lane) is a beautiful pedestrian street with a lot of cafes, restaurants and pubs. The stylish rooms at the Kamergersky Hotel are air conditioned and decorated in light cream colours. Each features a flat-screen TV and an en suite bathroom with bathrobes. A coffee/tea set and a bottle of still water is available in all rooms free of charge. Cafés, restaurants and shops can be found within a 5 minute walk of Kamergersky Hotel. Red Square and Moscow Kremlin are a 10-minute walk away. A shuttle service to all Moscow airports is offered for an extra fee. You can order the personal guide to visit the city, taxi, tickets in Reception Area.